Over the years we've cataloged quite a collection of covetable spaces, and sometimes we like to flip through our past blogs on all the applaudable places and pretty people we love so well and wax nostalgic. For just such occasions, we're creating a "best-of" series where we showcase five of our favorite things, aptly titled Quint-Essentials [do you get it?! Do you?!]. First up, we're bringing to you our top five favorite kitchens that we've featured over the last year or so. We've done the hard work for you [which, in this case, is picking just five]--so just sit back, relax, and soak up some seriously stellar sculleries. 1) Kristianna Circle. This little bit of minimalist bliss in Federal Heights got us all weak in the knees with a top-to-bottom-redo. One of our favorite bits: this kitchen's clean lines and bright whites mixed with the scrumptiously-rich hardwood floors. It's been the site of many a photo shoot for it. Bonus: it faces a wall of windows with views of our city and the GSL. Double bonus: it's for sale! Full story here. 2) The Maryland. We may be a little partial to this cozy South Temple nook [in part because it belongs to COLLECTIVE man-at-the-helm Cody], but it's fabulous for myriad reasons. A below-counter refrigerator and freezer keep this kitchen in clean lines. 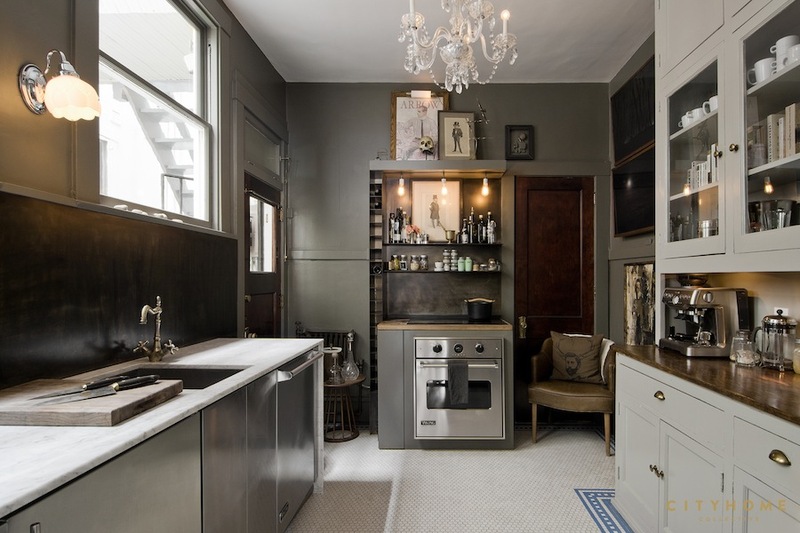 Top-to-bottom grey paint job, marble countertops, steel backsplash, and custom shelving and wine rack around the stove have made excellent use of a small space [and equate to all the right updates in a historic building]. Full story here. 3) Millstream. Designed by ours truly, Andrea Beecher, this Cove modern is one of our COLLECTIVE faves. Walnut cabinetry and a custom island that the gang can gather 'round [with custom bookshelves for Joy of Cooking storage]. 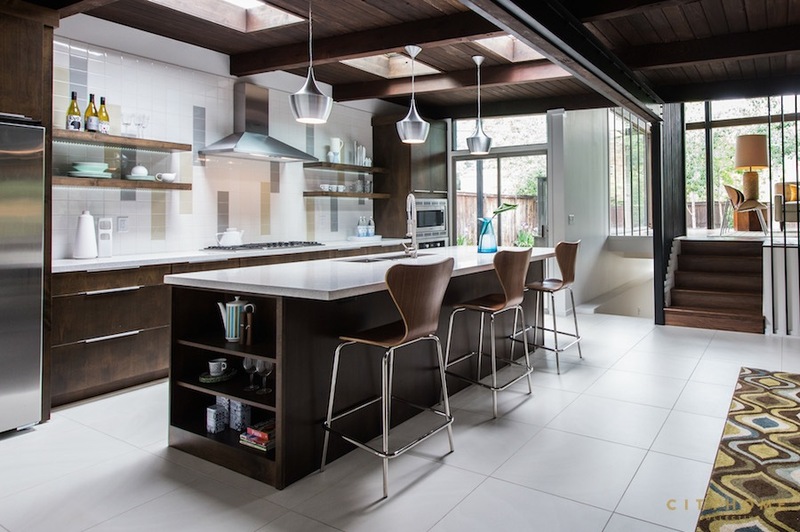 Terrazzo countertops are illuminated by several skylights above, and floating shelves are perfectly placed on a custom, Andrea-designed tile backsplash, as well. Full story here. 4) Eastwood. Another Cody Derrick remodel [c'mon, the guy is goood], this modern redux is juxtaposition perfected. 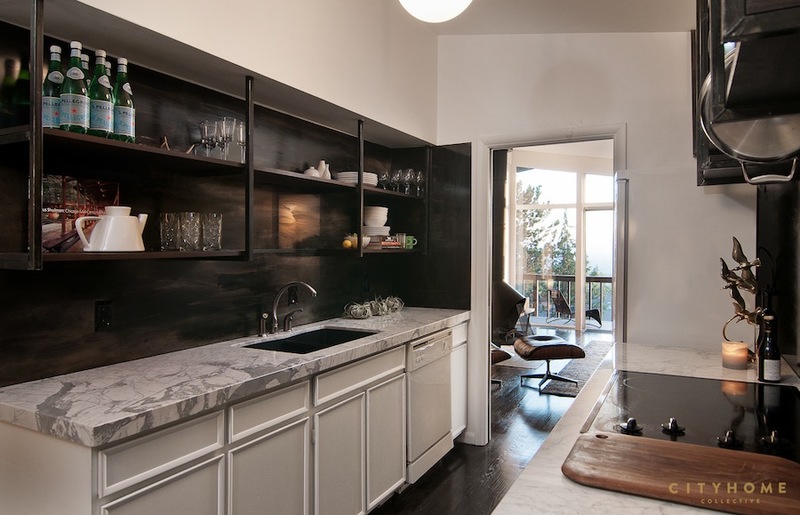 Beautiful Carrara marble countertops pop against the custom blackened-steel and wood open shelving. This galley-style kitchen seamlessly bridges the rest of the space, with the living room on one end and the dining room on the other. Full story here. 5) The Roberta Sugden Home. This kitchen is seated squarely in one of our former Place of Worship homes, so it's no surprise that it should find itself on this list. 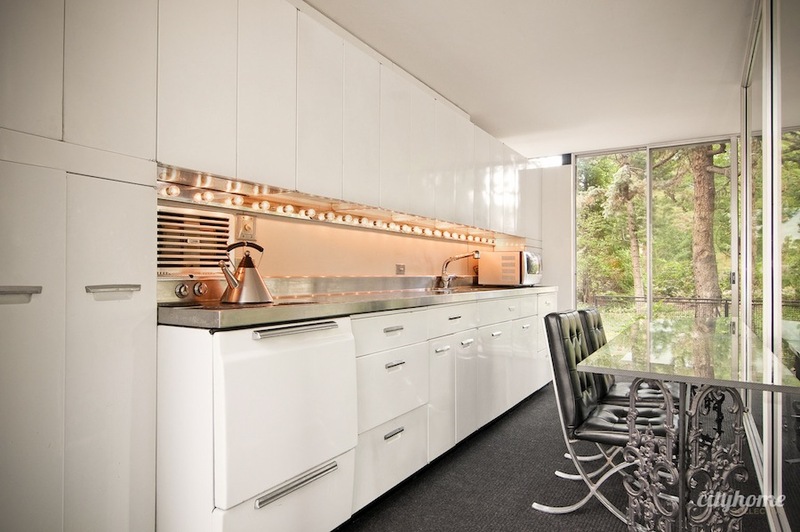 Marquee-style under-cabinet lighting boldly underlines what appear to be OG metal cabinets from the '50s. 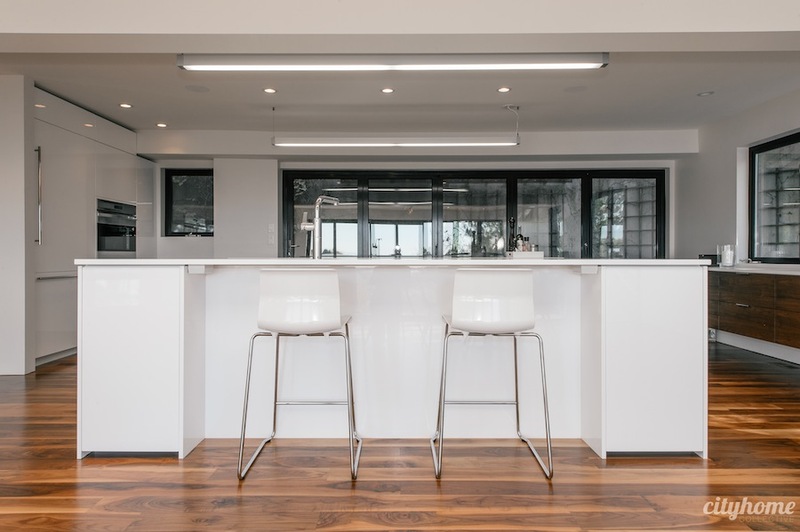 This narrow, galley-style setup feels opened up by a panel of glass [see far right] which looks into the main living space. Full story here.